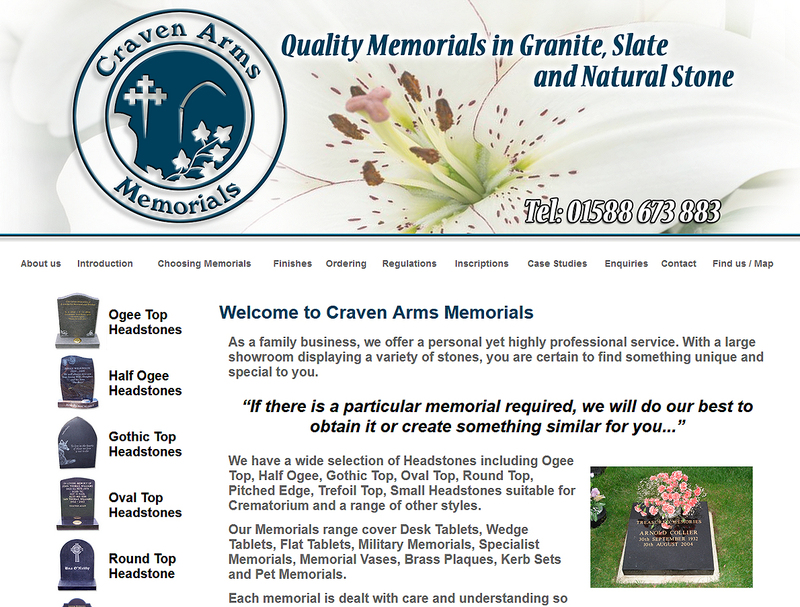 Each Brochure Website has a Unique Website Design and is Hand Coded to include good built-in Search Engine Optimisation practices and includes a custom built Content Management System providing the best solution for your business. 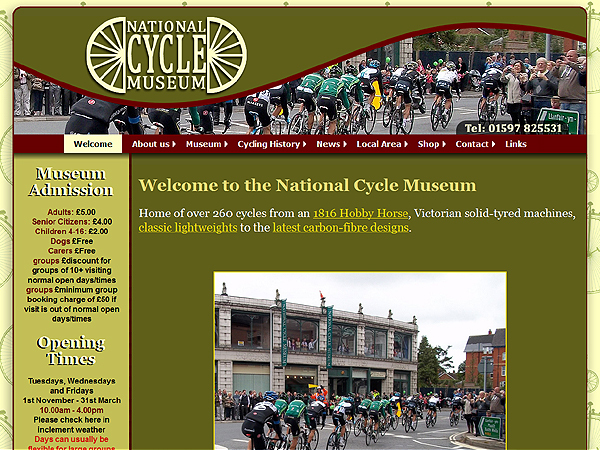 Mid Wales Trading are proud to have designed the new National Cycle Museum Website and Content Management System. Working with the National Cycle Museum Charitable Trust, we created the New Website for launch in 2016. 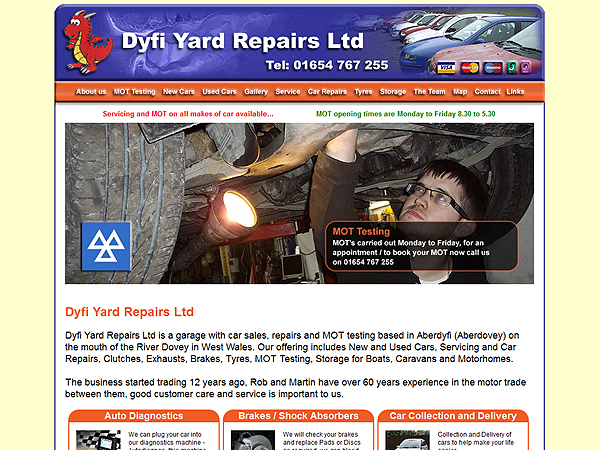 Creative website for Dyfi Yard Repairs of Aberdyfi(Aberdovey) a local garage offering Car Repairs, Servicing, MOTs as well as New and Used Car Sales. 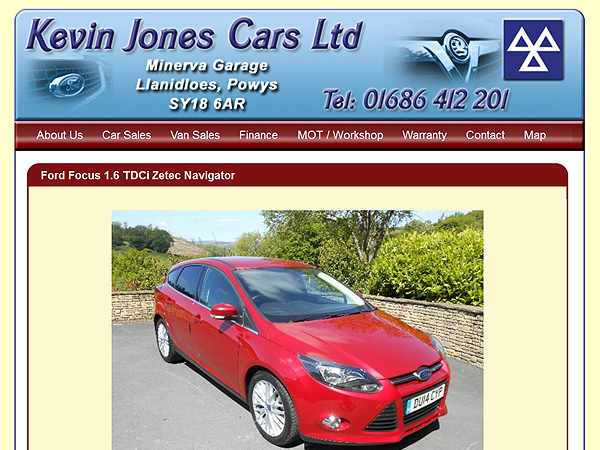 Included in the Content Management System is the ability to upload Second Hand Cars to the listings page. 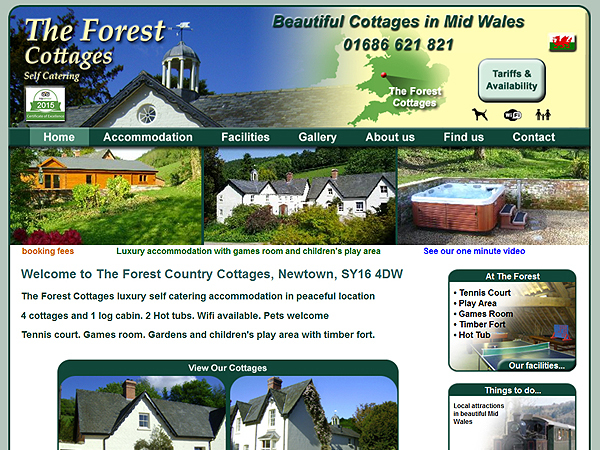 We designed 3 Content Managed Websites for the Forest Cottages Accommodation, Holly Cottage and the Forest Bed and Breakfast. 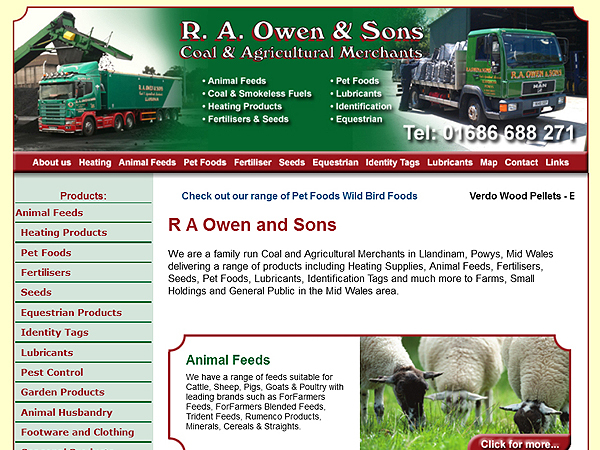 The website was grant aided by the Welsh Assembly Government. We started the design of the Clywedog Riverside Holiday Home Park website by creating them a free logo / branding for the park. 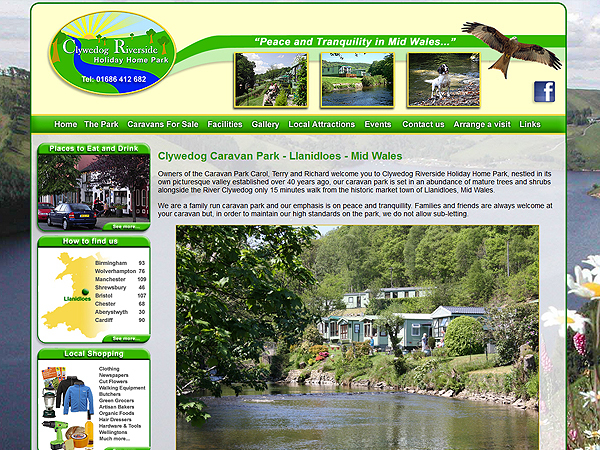 The logo design then became the inspiration for the rest of the website design for this Mid Wales Caravan Park. In our first meeting we took the website design brief and discussed the options with the customer. Then we started the creative design process making sure we realise the customers requirements, guiding the customer at every stage of the website design process. 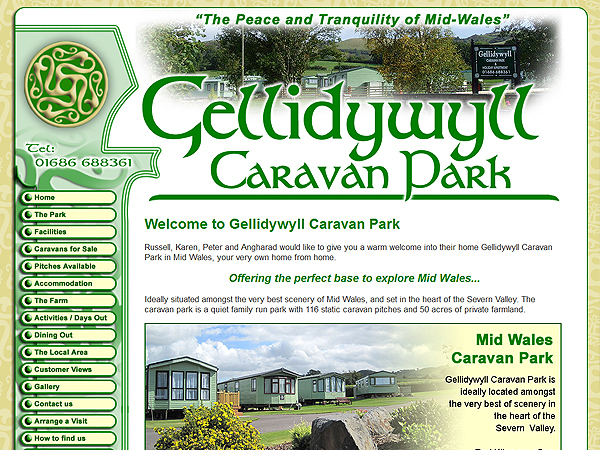 Celtic website design for the Gellidywyll Caravan Park in Mid Wales, this website was designed from scratch and we have used a Celtic look and feel to reflect the families Welsh heritage. We started the website by researching Celtic Design, then designed a mood board that we presented to the customer. 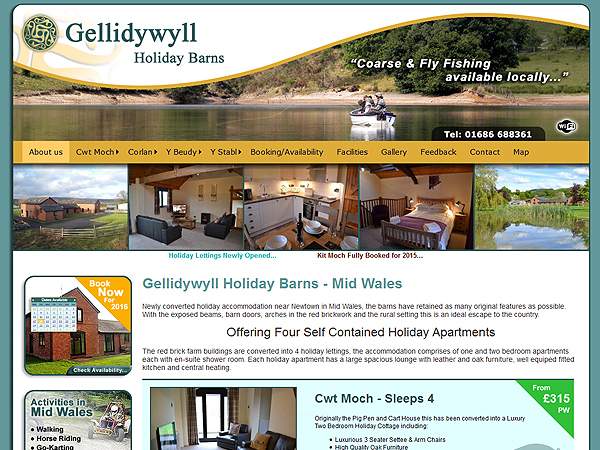 Feedback from the customer shaped the final website design for this Mid Wales Static Caravan Park. We did a photo shoot of all the rooms in the Bed and Breakfast, it is important in promoting the Guest House to show how stunning the rooms look, and the facilities that the Bed and Breakfast has to offer. 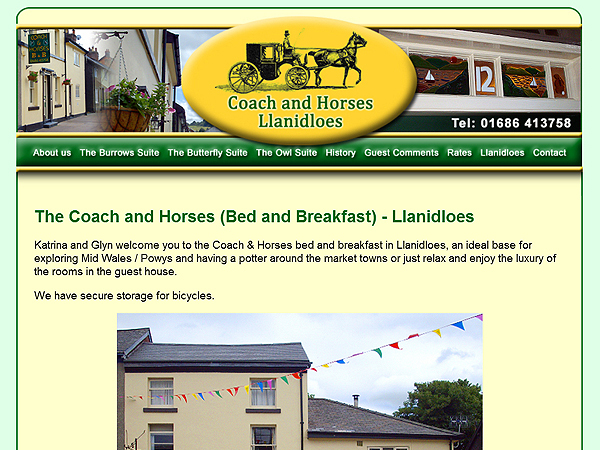 Website Design for Coach and Horses Bed and Breakfast. 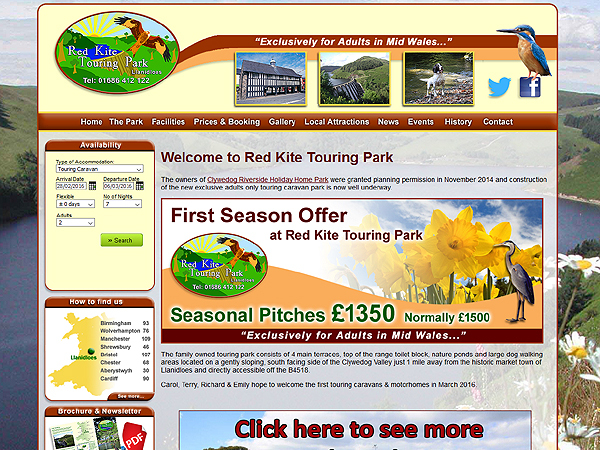 Website for the Red Kite Touring Park which is under construction in 2015/2016. The Park is hoping to open in Spring 2016. We have kept the colours, look and feel in keeping with the sport. 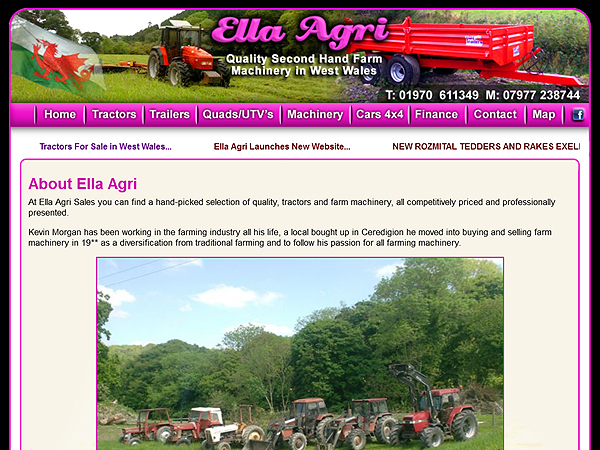 This creative website design is for Ella Agri Sales - West Wales based Second Hand Tractor and Farming Machinery. 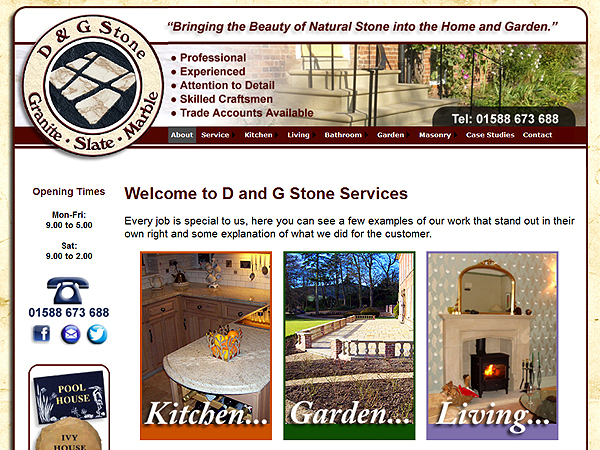 Creative website for D and G Stone Services in Craven Arms, Shropshire. Commercial Stone Masons for Kitchens, Bathrooms, Garden Features, working with Slate, Granite and Marble. 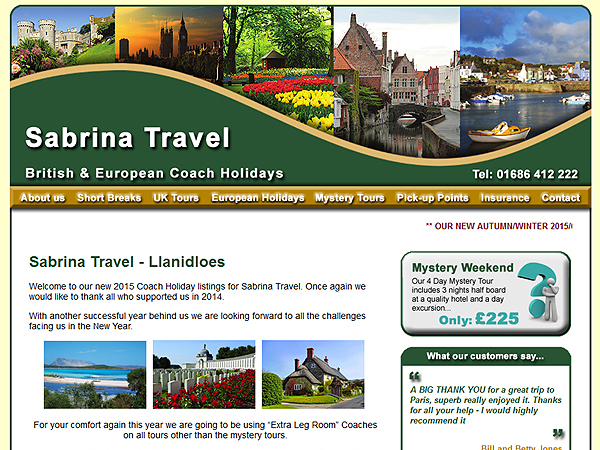 Creative Website Design for Sabrina Travel of Llanidloes - Sabrina Travel arrange European and UK coach tours for customers in Wales and is a Mid Wales Travel Agency. This website design for the Stag Inn - Llanidloes, Mid Wales takes it's inspiration from the Stag strutting it's stuff and the mountain behind to create the curve. 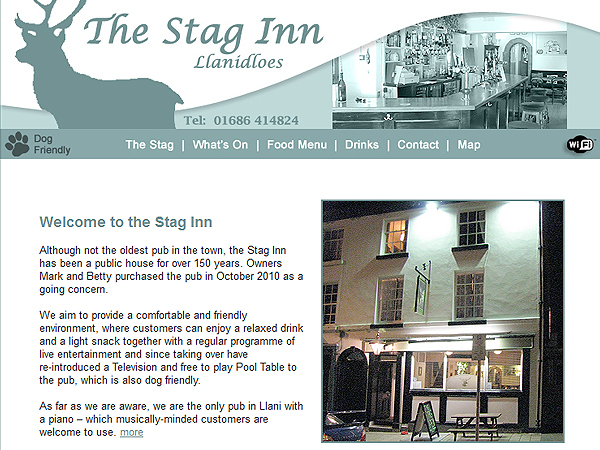 The colours for the website have been chosen to match in with the (Wine Bar) look and feel on this Mid Wales pub. 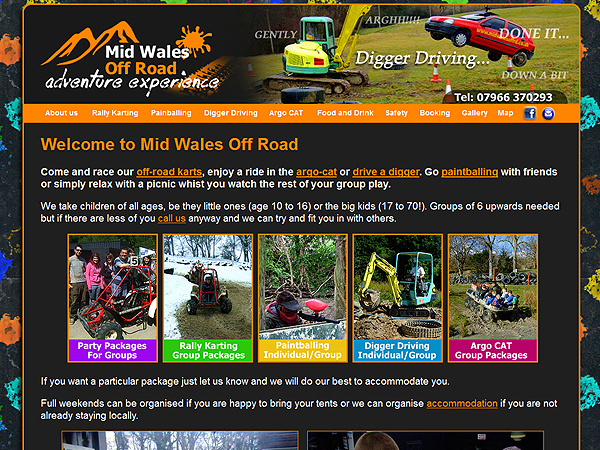 Mid Wales off Road is a Corporate Events company based in Mid Wales delivering Rally Karting, Paintballing, JCB Driving and Argo CAT Experience. 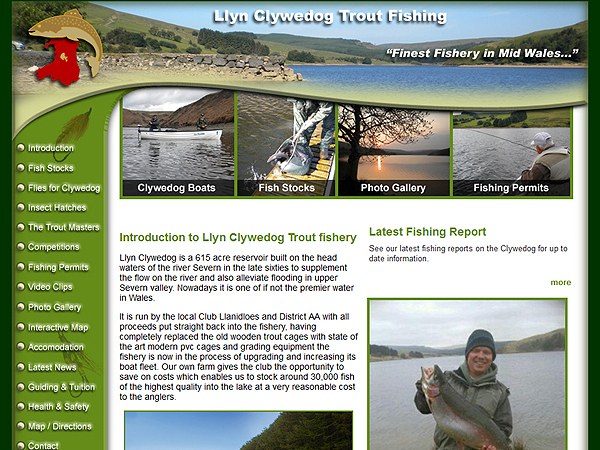 The website design reflects the activities available at the Mid Wales activity centre. 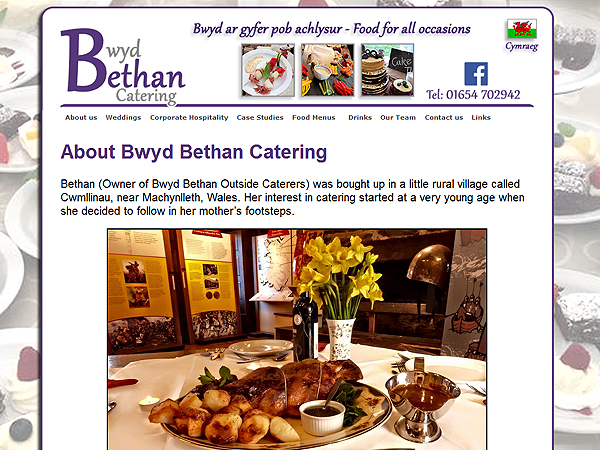 Creative website designed for Bwyd Bethan Catering, Wedding and Corporate Event Caterers.